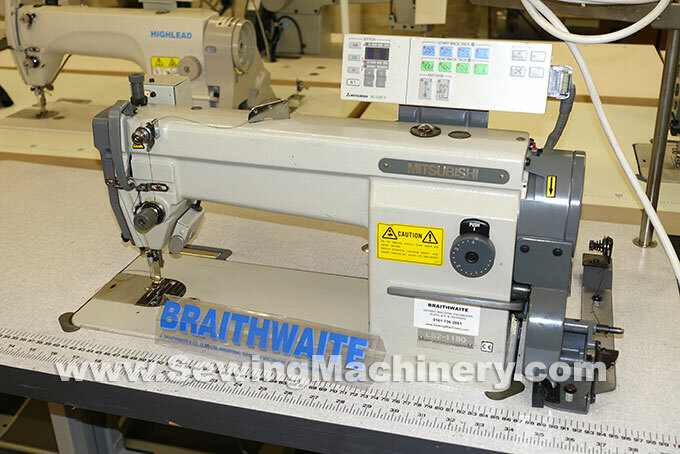 Mitsubishi LS2-1180 industrial sewing machine with automatic thread trimmer and auto back-tack system. Mitsubishi Limi 3 phase needle position motor & controller. C20 electronic control and including the optional auto foot lifter assembly. Japanese made robust model, in very good condition, see photos. 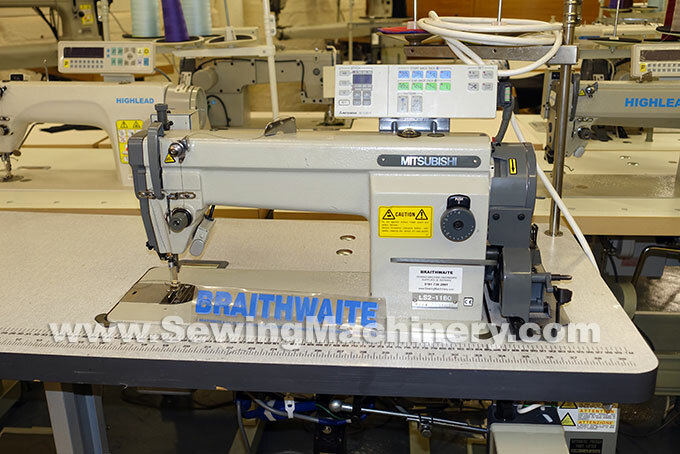 Serviced & tested before despatch & includes used industrial sewing machine warranty .